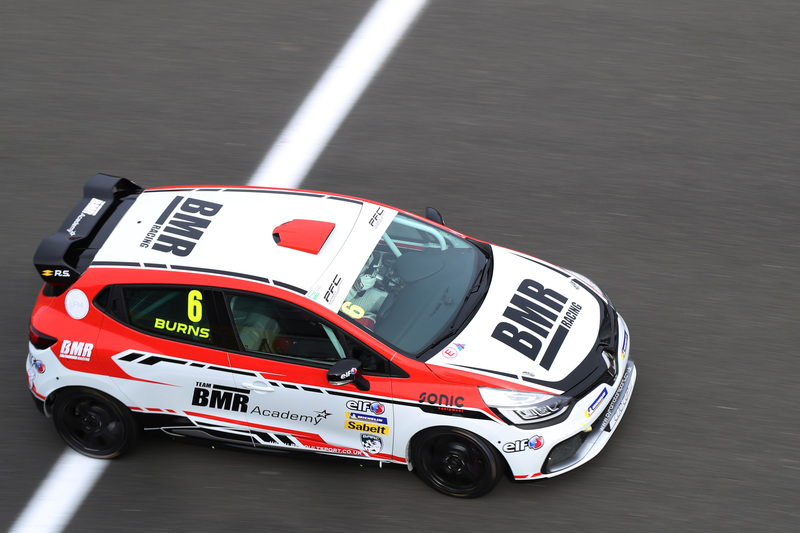 BMR Academy and Pyro Motorsport driver Bradley Burns made history last weekend at Donington Park with another outstanding performance in the Renault UK Clio Cup. 16-year-old Bradley had a spectacular qualifying session on Saturday and set a time placing him third on the grid for race one. 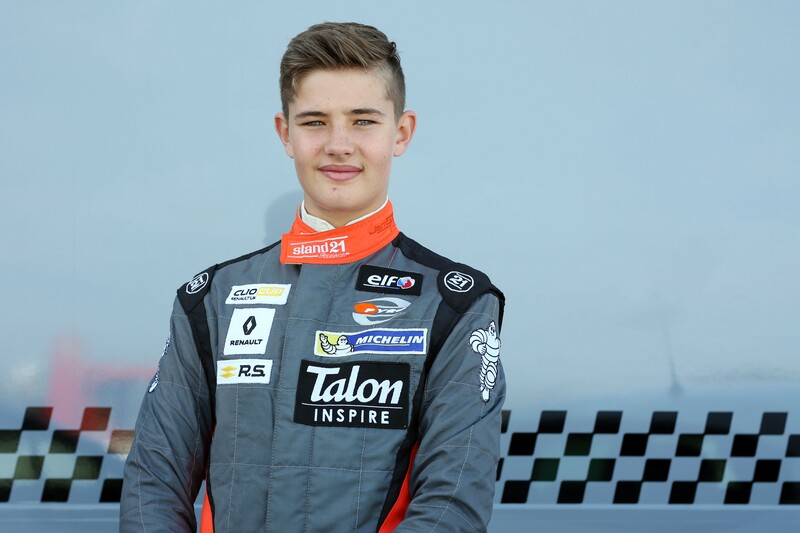 He then followed that up setting the fastest time for race two making him the youngest ever driver in the history of the Clio Cup to take a pole position. With a very chilly circuit on Sunday the first race got underway with all competitors making clean starts off the line, but drama then started to unfold with WDE Motorsport team-mates Paul Rivett and Lee Patterson both leaving the circuit. Bradley managed to initially avoid getting caught up in the incidents however, contact from behind then sent him into a spin at McLeans before managing to regain control, albeit dropping down to thirteenth. The safety car was then deployed to retrieve the stricken cars. With a bit more heat in the tyres it was a good restart. After a great battle with Osborne & Epps, Bradley eventually crossed the finish line in tenth alongside teammate Fulks with a mere 0.007 seconds between them. also picking up two extra points in the process for setting the fastest lap of the race. The nineteen car grid lined up for Race Two with Clio Cup Graduate Bradley in pole position for the very first time in what is proving to be a very competitive championship. With the lights out Bradley got a good start but Jack McCarthy got past him into the first corner. Bradley managed to fight off the advances of Rivett and held onto second position through the first corner however, in a bid to avoid contact he then left the circuit at Roberts dropping back to fifth but remained with the leading pack. Colburn then span out moving Bradley up to fourth and then taking a position back from McCarthy he passed him for third and immediately took Rivett for second with McCarthy following him through and right on his tail. A great battle then ensued at the front of the field with James Dorlin still leading and Bradley edging his nose past him and taking the lead briefly before the pair switched back to their original positions. Bradley wasn’t going to give up easily and he continued to fight for the leading spot whilst also defending from McCarthy. 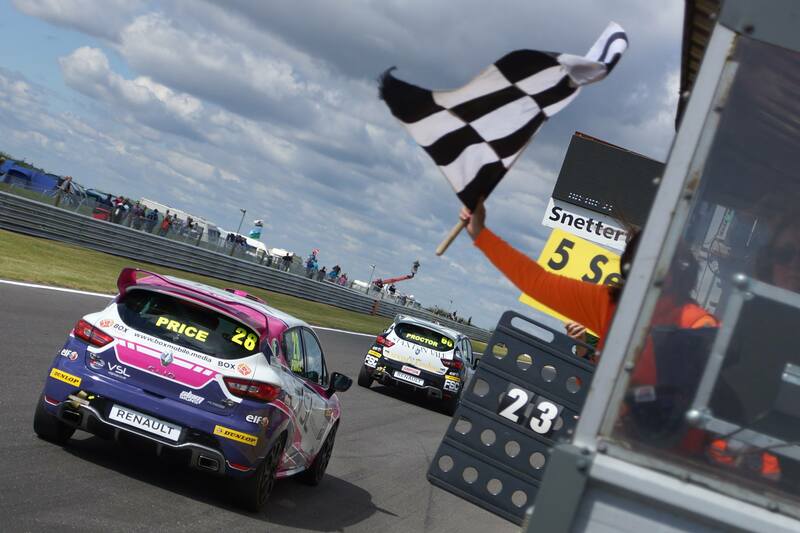 The trio crossed the line with just half a second between them with Bradley taking second and entering the history books once more being the youngest ever driver to achieve a top three finish in the Clio Cup and once again setting the fastest lap of the race and a new lap record. A superb display by the youngster and definitely one to watch on his next time out at his home circuit at Thruxton in Hampshire on the weekend of the 19th and 20th May. 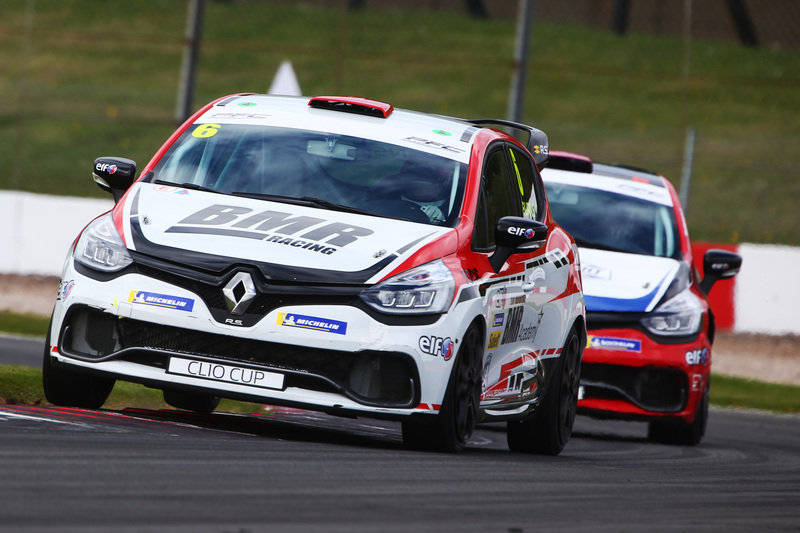 BMR Academy and Pyro Motorsport driver Bradley Burns celebrated an outstanding start to his 2018 Renault UK Clio Cup season last weekend (7/8 April) when he enjoyed double podium success at Brands Hatch Indy Circuit in Kent. 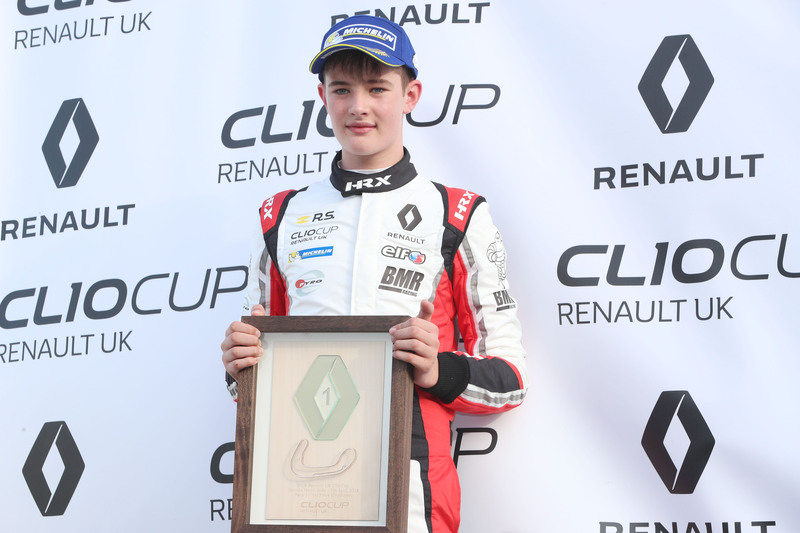 16-year-old Bradley, one of the youngest ever drivers to race in the Renault UK Clio Cup, crossed the line in an impressive 12th place and taking the Graduate Cup win in his debut race at the short 1.2 mile circuit on Saturday afternoon. On a wet track on Sunday he then bettered that result and visited the podium for a second time with an additional Graduate Cup win and an astonishing 6th place finish after running as high as third during an enthralling battle with three-time champion Paul Rivett. Bradley was then promoted to 5th following a post-race penalty for fellow competitor Sam Osbourne. BMR Racing are delighted to announce that Bradley Burns has become the latest signing for the BMR Academy in association with Team Pyro. 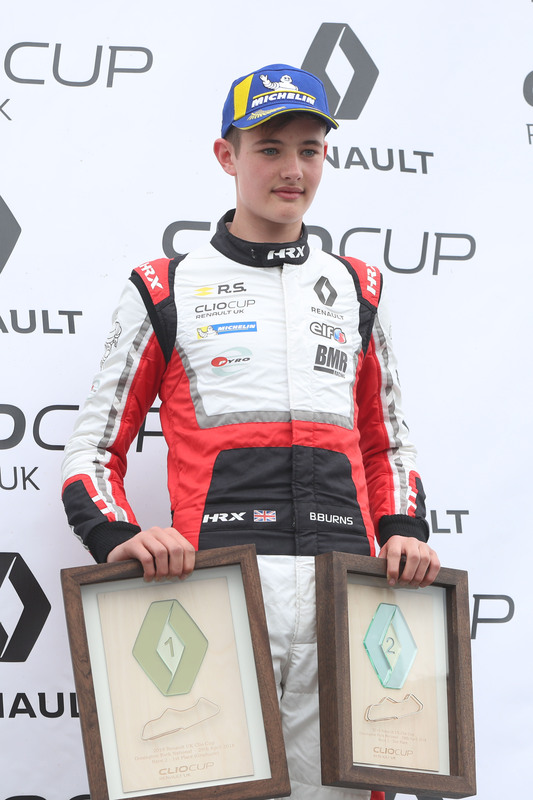 16-year-old Bradley became one of the youngest ever drivers to race in the Renault UK Clio Cup when he made his championship debut at Rockingham in August 2017 with Team Pyro. He competed in the championship for the final three events making his mark with a string of impressive results. Burns from Farnham in Surrey will remain with Team Pyro for the 2018 season of the Renault UK Clio Cup with the support and guidance of the BMR Academy. The BMR Academy is the stepping stone system created by BMR Racing to assist drivers in the progression through to the Dunlop MSA British Touring Car Championship. Past drivers who have experienced this support include 2017 BTCC Champion Ashley Sutton who was crowned Renault UK Clio Cup Champion in 2015. 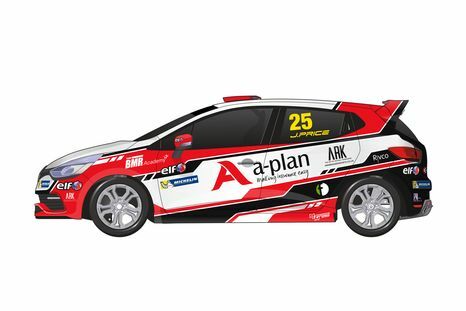 Ash’s teammate from last year Josh Price also progressed from the Clio Cup. Bradley has been receiving extensive driver coaching from Ash and will continue to do so under the BMR Academy programme. Speaking of the new partnership Team Pyro Principal, Mark Hunt commented: “Bradley came to us midway through 2017 from junior car racing, from the very first test we saw how much potential Bradley had behind the wheel. He raced with us at the back end of 2017 and participated in the last three rounds of the Clio Cup Championship as an insight for the following season. 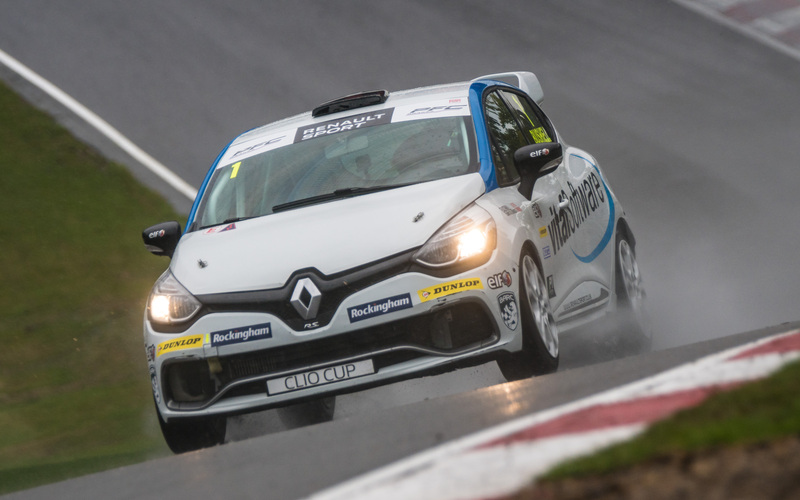 The opening two rounds of the 2018 Renault UK Clio Cup get underway at Brands Hatch on Saturday7/Sunday 8 April. Josh Price now confirms his return to the Renault UK Clio Cup Championship for the 2017 season. Josh, who is backed by A-Plan Insurance Services, VSL & RIVCO will re-join the most successful team in the paddock- Pyro Motorsport and will also be supported by the BMR Academy. The BMR Academy is the stepping stone system created by Team BMR to assist drivers in the transition from Clio’s to the BTCC. Past drivers who have experienced this support include Ash Sutton who won the Renault UK Clio Cup Championship in 2015 and now finds himself in a BMR Subaru BTCC car. Árón Taylor-Smith is the Director of the BMR Academy and explains why Josh was an easy choice to be supported this year. 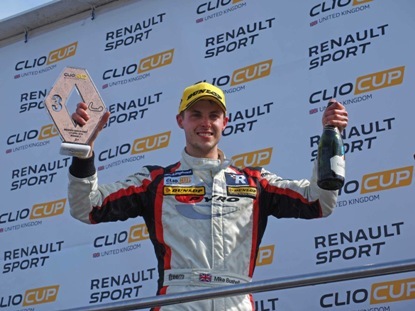 The 2016 campaign was the first full season Josh participated in the Renault UK Clio Cup and enjoyed much success. Six podium results in total and three of those were achieved in the last four rounds. A championship highlight was qualifying third at Thruxton after never competing at that circuit before, this stand out performance on the Saturday lead him to his first podium. Josh went on to improve this qualifying form later in the season at Croft when he qualified second. The first race win for Josh came at Brands Hatch after starting P6 in race two. Josh has set his sights high for the rapidly approaching 2017 season. The media day for the Renault UK Clio Cup Championship is to be held at Rockingham on 17th March. This is traditionally the first opportunity for competitors to size each other up after a long winter break! Round one commences at Brands Hatch on the 1st April. 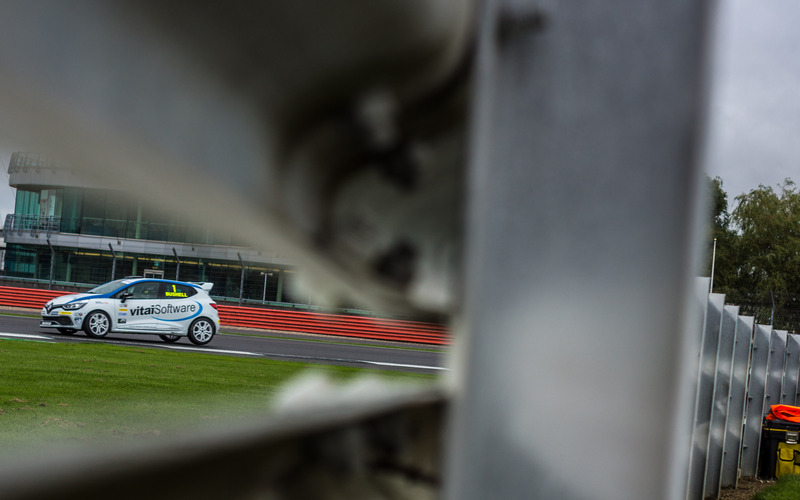 It was a weekend of ups and downs for the Team BMR Renault UK Clio Cup squad as Mike Bushell, Senna Proctor and Josh Price headed to finals day with Mike in contention to win the overall championship and the others looking to score big and end the season on a high. During qualifying on Saturday it was Mike who laid down the gauntlet with his impressive pole position lap as his only other championship contender Ant Whorton-Eales placed his Clio on the front row alongside him for the start of the opening race on Saturday afternoon. Josh would line up 7th with Senna 12th of the twenty runners. the temperature in his tyres handing him back a small advantage. At the end of the lap Mike was thrown another lifeline as Paul Streather ended up in the gravel trap causing the first safety car period of the weekend, enabling everyone to bunch up and close the gap to the car ahead of them. As the safety car headed the field disaster would strike for Mike as he wrestled to keep the heat in his tyres, ending up in the gravel trap and unable to return to the track for the remainder of the race handing a huge advantage to Whorton-Eales in the process. At the start of lap 8, Whorton-Eales attempted a move around the outside of Rivett for the lead of the race and as the latter forced him wide Josh stuck his nose up the inside of Rivett and took the lead of the race with just three laps remaining as Rivett dropped to 2nd and Lee Pattison moved up the order to 3rd. On the very last lap of the race Rivett found a way past Josh for the race win ahead of Pattison who finished 3rd. Josh also took the graduate win claiming the first two trophies of the weekend. Senna also had a great battle through the field to finish in a very impressive 5th place. 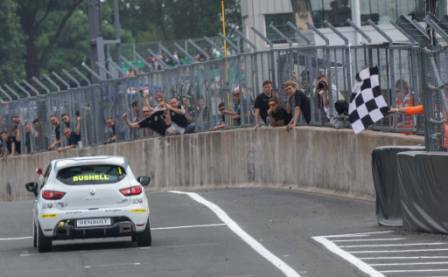 With Mike now ten points adrift of championship leader Whorton-Eales it was game on to see who would come out on top and be crowned 2016 Renault UK Clio Cup Champion with Mike back on pole position and Whorton-Eales alongside him once again. Josh would line up 6th with Senna 11th of the 19 strong field after Ollie Pidgeley being absent from 4th after the huge amount of damage suffered in the previous race. As the lights went out to signal the start of the second race, it was Whorton-Eales who once again got the jump on Mike taking the lead of the race as both Josh and Senna moved rapidly up the order to 4th and 9th respectively. On lap two the safety car was called to retrieve the stricken machine of George Jackson who ended his day in the gravel trap, that allowed Mike to close in onto the back of Whorton-Eales once again. The restart came at the start of lap 4 with Mike instantly on the attack as Rivett made an attempt to pass the pair of them on the outside at Druids and into Graham Hill Bend. Passing Mike, Rivett tapped the back of Whorton-Eales which sent him into a slide and onto the run off area and as he returned to the track a tap on the rear of Mikes car put him out of the race and into the wall as Rivett clambered across the grass only to re-join at the back of the field which also enabled Josh to emerge as the new race leader with Senna up to an amazing 4th place. The whole of the team fell silent as we watched on in horror as they replayed the on-board footage from Mike's car ending his day and his championship hopes in just three and a half laps, two of which were spent behind the safety car. As Mike exited the car there were huge rounds of applause for the local lad and to show his appreciation he took a bow to signal that he had put on a great performance over the season and to thank those who had supported him. Another safety car period followed to retrieve Mike's stricken car which stayed out on track until the end of lap 5. For the remainder of the race all eyes were on Josh out in front and Senna who had a fantastic drive in 4th with their positions remaining until a red flag stoppage at the end of lap 11 after Luke Kidsley rolled his car whilst running behind Senna in 5th. Needless to say Kidsley emerged unscathed from the incident, as Josh took to the top step of the podium for the first time in his Clio Cup career with Max Coates and Charlie Ladell joining him. Whorton-Eales ended the race in 7th place and took overall championship honours with Mike being the first to congratulate him as he exited his vehicle in parc ferme. After taking his first win of the season Josh told us here at Team BMR HQ: "It was a great weekend all in all, after changing engine late Friday night and the disappointment of losing the win on Saturday, Sunday definitely made up for it. I would just like to say thanks for the support from BMR this year and hopefully we can continue the partnership into the 2017 season!" 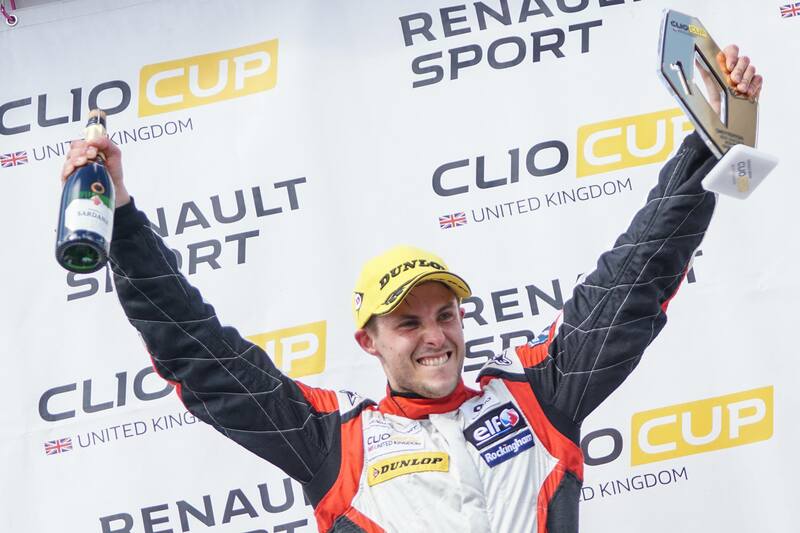 We also spoke to Senna who added: "It's been a great first year in the Clio cup. We have learnt a lot and now we look forward to next year whatever we may be in. It would not be possible without the amazing support we receive from Team BMR, Simpson Race Products and also LAPD property developments." When asked about where he sees himself next year, the youngster told us: "We will be up for the fight whatever we are racing in. I just hope we are on the TOCA package." Following what can only be describes as Mike's worst weekend of 2016, he told us: "I'm not as disappointed as I thought I would be in being this years Vice Champion. I've been exceptionally quick all year and fastest in all but two free practices and taken 12 out of 18 pole positions. Those statistics are incredibly satisfying and a real confidence boost for my future. I'm happy to admit that I have made maybe 3-4 mistakes which have cost me a crucial couple of points that could have maybe given me the upper hand at the final round." Speaking of his only championship contender going into finals day he added: "Ant Whorton-Eales is a worthy champion. After 5 years graft in the championship I wish him all the best in his future endeavours." When asked about the race two incident he explained: "To crash out of the deciding race through no fault of my own has left people wondering who would have come out on top at the chequered flag, but I guess it's something we'll never know. I took it on the chin and bowed to the crowd as I have put on a good show this year and it has been a great return to the Championship. However I feel I have regrouped now and I am hungrier than ever to pursue my BTCC dream and will be exploring all possible options for 2017. I am very privileged to have achieved what I have in the last 3 years, Clio Champion, Vice Clio Champion and a full season in BTCC. I would like to take this opportunity in saying a huge thank you to the guys at Team BMR, along with my sponsors Vital Software, Time Electrical, Altima, Alphasport, Easthill Computer Services and Vital Cars." 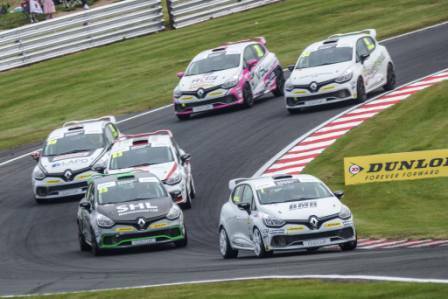 The Renault UK Clio Cup returns on the British Touring Car Championship package in 2017 and round one will be back at Brands Hatch on the weekend of the 1st and 2nd of April. 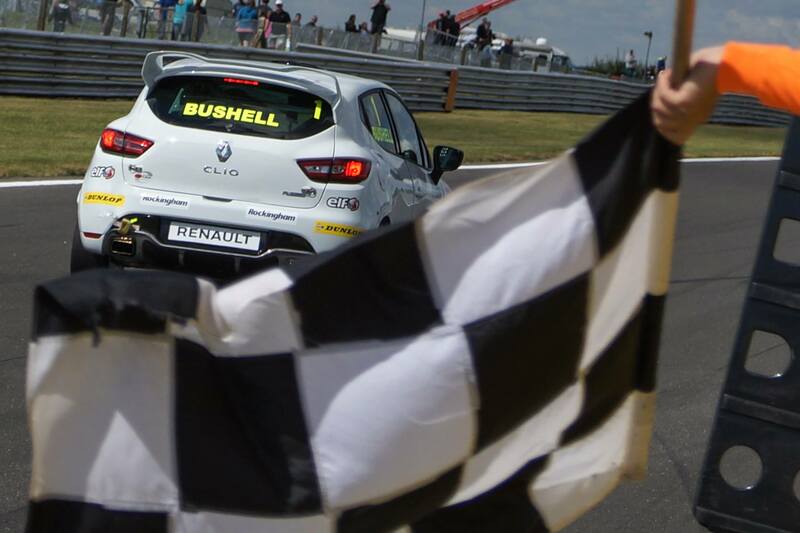 The Renault UK Clio Cup headed to Silverstone last weekend for the penultimate round with all eyes on the Team BMR backed racer Mike Bushell who was leading the championship standings in the hope of extending the lead for when the championship concludes at Brands Hatch in just over a weeks’ time. All three drivers including Josh Price and Senna Proctor qualified well and were set to line up 2nd, 3rd and 10th of the 21 runners. Rookie Max Coates took pole position for Saturday's race with Mike's nearest championship rival Ant Whorton-Eales in 4th. behind Whorton-Eales as the duo battled hard for the win. The battle between the pair kept everyone glued to their seats for the remainder of the race with Mike taking the lead on the final lap after a late lunge on Whorton-Eales. Josh completed the podium in 3rd and also took the Graduate Cup for the top rookie, giving the team their first three pieces of silverware for the weekend. Unfortunately Senna once again had his fair share of bad luck and tumbled down the order to finish 13th after contact during the early stages of the race. Graduate runner Ollie Pidgley set the fastest lap of the race and crossed the line in 16th place. The celebrations were however short lived after Mike was demoted to second for after his pass was deemed unfair handing the win to Whorton-Eales allowing him to close on Mike in the championship standings. Race two on Sunday would start as a much closer affair with the three Team BMR backed drivers all in the top 5 with Mike on pole, Josh in 4th and Senna 5th. Once again Whorton-Eales and Coates were right in the mix with the former lining up alongside Mike on the front row and the latter in 3rd completing the top 5 spots. It's always difficult from pole position at Silverstone as the pole sitter sits on the outside and it was Whorton-Eales who made the getaway with Mike slotting into 2nd with Josh also gaining the advantage moving up to 3rd behind his senior team mate as Senna held his 5th place starting position. Senna soon found himself under pressure from triple champion Paul Rivett who took the place on lap 3 placing Senna 6th by the end of the lap, as Mike closed the gap to Whorton-Eales who was still out in front. There was disaster for Josh at the start of lap 7 as the team were forced to call him in for a drive through penalty after it appeared he made a false start after the TV cameras showed he crept forward on the line. With Josh entering the pits at the start of lap 8, Coates moved up to 3rd with Rivett going through to 4th and Senna back in his 5th place starting position as once again Mike piled the pressure on Whorton-Eales for the remainder of the race but had to settle for 2nd as the checkered flag fell. Senna managed to fend off the advances Lee Pattison to finish 5th as Josh crossed the line 17th as Paul Streather set the fastest lap of the race in 9th place. Coates completed the podium and took the graduate win. ike remains at the top of the championship standings with a margin of 14 points. However once drop scores come into play at the end of the season, he actually trails Whorton-Eales with an 8 point disadvantage so it's all to play for come finals day when Mike returns to his home circuit. For graduates Josh and Senna they are now placed 7th and 8th in the championship after the latter moved up the order following his brace of top 13 finishes. The 2016 title now sees just Mike and Whorton-Eales in contention and all of us here at Team BMR would like to wish Mike all the luck in the world as we did to Ash Sutton who was in the same position with Ash Hand just 12 months ago. And we all know the outcome of that don't we? 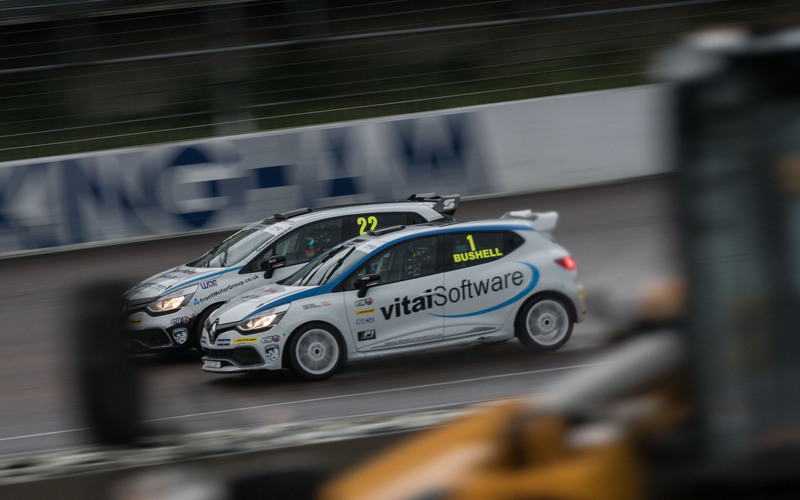 There were all smiles at the beginning of the weekend for the Renault UK Clio Cup Trio at Rockingham with Mike Bushell qualifying on pole position, with Josh and Senna 3rd and 4th for both races. However the smiles didn't last too long as Senna had contact on the opening lap of race 1 with David Dickenson, that was the result of the pack being so close together which forced him to retire as quickly as the race had started. Added to the fact that there were near monsoon conditions across the Northamptonshire circuit both Mike and Josh also struggled allowing Ant Whorton-Eales into the lead and taking the win as the flag fell. It wasn't all disappointment as Mike ended the race in 3rd and picked up the first piece of Silverware of the weekend. Josh also dropped down the order to finish in 7th place. As the lights went out at the start of race 2 on Sunday. Mike's mind was set on just one thing. Taking the win, and that's exactly what he did with a lights to flag victory only this time in glorious sunshine. Once again it was Whorton-Eales who made the great getaway slipping between Josh and Senna losing them both a place by the time the pack arrived at the infamous turn one. There was further drama on the opening lap as George Jackson ended up on his roof causing a brief safety car period. Racing resumed on lap 4 with Mike instantly making the break, and from there on in he didn't look back after crossing the finish line in the lead at the end of the 16 lap encounter. During the final three laps of the race there was a huge battle for 3rd headed by Max Coates, with Whorton-Eales, Josh and Senna all literally separated by just inches, and as the flag fell the final spot on the podium went to Cotes with Josh and Senna in 5th and 6th. Old stager Rivett also stood on the podium by crossing the line in 2nd as Mike took extra points for setting the fastest lap of the race. Speaking of his weekend Mike commented: "It's great to have another race weekend and gain the most points over my rivals. The championship is highly competitive this year and it has been tough returning from a year in the BTCC. To be leading on total points at this stage and tied on drop scores with Ant Whorton-Eales is great as I am further ahead than I was at this stage in 2014, and I went on to win the title. Further more this weekend has been great to finally put together a new deal with VitalSoftware. Coupled with my support from Team BMR, my confidence is high for the rest of the season and I'm already looking forward to seeing where next year may take me. 9 poles from the last 10 races certainly helps with that confidence and all of my focus is now on making sure I am in the lead at the end of lap 1 in all of the last 4 races." Mike remains at the top of the championship standings 22 points ahead of nearest rival Whorton-Eales. Josh sits 7th with Senna 9th. 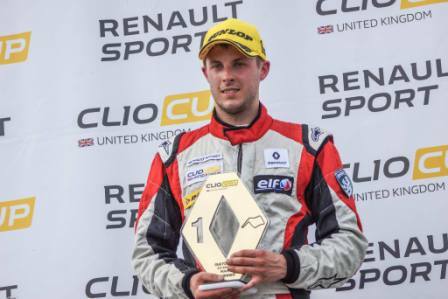 Speaking of what his hopes are for the remainder of the season Mike added: "There has only been one double champion in the past and that is the Clio Cup stalwart Paul Rivett. I'm putting all my effort into extending that list. " Racing resumes at Silverstone the home of British Motorsport on the weekend of the 17th and 18th of September. The Team BMR backed trio of Mike Bushell, Senna Proctor and Josh Price failed to disappoint at the weekend, when the Renault UK Clio Cup burst back into action at Snetterton following the six week summer break with Mike aiming to knock Ant Whorton-Eales from the top of the championship standings with just 3 points separating the duelling pair. For race one Mike would start on pole position with Senna right behind him in 3rd with Josh taking up box number 11. As the lights went out to signal the start of the race it was Luke Kidsley from P2 who made the best getaway along with Whorton-Eales from P4 with the latter passing Senna for 3rd as Kidsley attempted a move around the outside of Mike at turn one. However inevitable contact was made which saw the youngster fired off onto the outside of track moving championship leader Whorton-Eales up to 2nd and Senna back up to 3rd as Josh also moved up the order. By turn two it was Whorton-Eales who had taken the lead of the race after Mike's previous contact had hampered his speed as Max Coates moved up to 3rd ahead of Senna with Josh right up with them in 7th. However Whorton-Eales had suffered rear ended damage as another championship contender Paul Rivett retired with front end damage. By the time the train had arrived at Brundle, Mike made an impressive move around the outside to re-take the lead before they arrived at The Bomb Hole with the dicing duo back side by side as they crossed the line at the end of the opening lap. Half way around lap 2 Whorton-Eales seemed to be struggling with his earlier damage and had dropped to 4th moving Senna back up the order once again into 3rd as Josh held 7th behind Mike out in front with a now clear gap to Coates in 2nd. By lap 3 Josh had made his way past Chris Smiley for 6th as Whorton-Eales' forced Senna back to 4th after the Bridlington based youngster put his car up on two wheels going through Nelson. Josh then made a dramatic move on Anton Spires on the following lap moving him up the order to 5th at The Bomb Hole. At the end of lap 7 Whorton-Eales was forced to pit on safety grounds as the marshals pulled him in to have his now trailing rear bumper removed, promoting Senna back up to 3rd and Josh to 4th as Mike increased his lead at the front of the pack. However it was game over for Whorton-Eales as sufficient repairs couldn't be carried out forcing him into retirement. There were no further changes throughout the final three laps, giving the team their first two podiums of the weekend for Mike and Senna, with Josh hot on their heels with an impressive drive through the field from 11th to 4th, as Coates took the graduate win in an overall 2nd with Senna and Josh also taking their places on the graduate podium bagging four trophies between them. For race two Mike would once again take pole pole position with Senna 12th and Josh 14th. As the lights went out it was Kidsley from 2nd on the grid who made the jump on Mike as Whorton-Eales instantly jumped up to 3rd from 5th on the grid that became second by the time the pack arrived at Palmer sending Mike down to 3rd as Senna and Josh settled into 12th and 13th. There was contact between Josh and Dan Zelos on lap 13 that moved Josh and Senna up two places after they also made a move on Anton Spires. The result was a loss of speed for Josh that left 7 cars all battling for 10th place. A battle that Josh would win with Senna in 11th. Lap five would once again see Mike on the attack as he passed Whorton-Eales for 2nd at the newly named Wilson hairpin as a tribute to the late Justin Wilson, with Whorton-Eales making the same move on the following lap, not only on Mike but also leader Kidsley dropping Mike back down to 3rd. There was despair for Josh who was handed a 5 second time penalty for exceeding track limits, and although running in 10th the timing screens placed him 14th with Senna on track in 11th up the order to 10th. The battle up front wasn't letting up as Rivett had now moved onto the tail of Coates forcing the latter to attack Mike dropping him another place down to 4th on the exit of Agostini, with Rivett also passing two corners later. By the time they crossed the line at the start of lap 7 Mike was back up to 4th as both he and Rivett found a way past Coates, with Josh and Senna still running 10th and 11th albeit only their track positions due to the earlier time penalty. As they crossed the finish line at the end of lap 8, Mike held onto his fourth place, with Senna promoted to 10th and Josh demoted to 12th although he finished the race in 10th on track, as Whorton-Eales, Kidsley and old stager Rivett took to the podium along with Coates, Senna and Josh who finished 1st, 2nd and 3rd in the Graduate Cup. Mike's impressive run at the Norfolk venue helped by the retirement of Whorton-Eales and Rivett in the opening race, have moved the Tunbridge Wells based racer to the top of the Championship standings with a 19 point lead over nearest rival Whorton-Eales, with Senna 8th and Josh 9th separated by just two points. 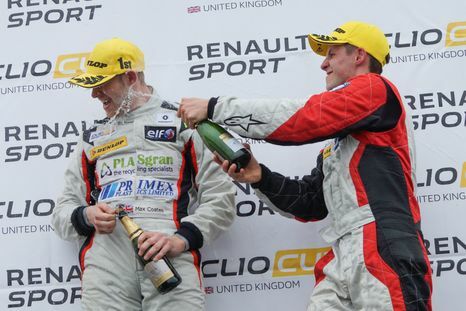 Josh Price commented “Snetterton was an incredibly annoying weekend for us. Strong pace in free practice had sights on a top three qualifying position for both races, unfortunately we made the wrong tyre choice in qualifying making everything alot harder for ourselves. Race one was rewarding making up seven places to finish fourth,which was rewarding with all the BMR drivers in the top four. Race two was much harder with alot more close racing and less opportunities to go forward. Overall it was a weekend of 'what could of been' never the less we learnt some valuable lessons as a team and can develop from these mistakes for the future." 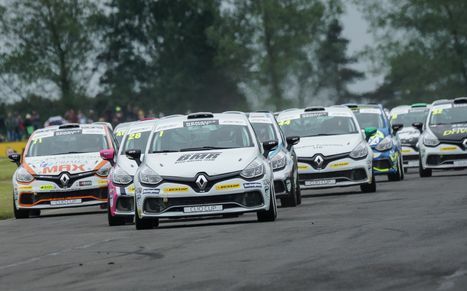 The Renault UK Clio Cup returns in just over three weeks’ time at Rockingham Motor Speedway on the weekend of the 27th and 28th of August where Mike will be looking to extend his championship lead over Whorton-Eales, Coates, Rivett and Lee Pattison who complete the top 5. Not wanting to be overshadowed by their senior stable mates in the British Touring Car Championship at Croft over the weekend, the Renault UK Clio Cup trio of Mike Bushell, Josh Price and Senna Proctor set their sights on the podium off the back of a successful weekend at Oulton Park two weeks prior, with Mike aiming to close in on Championship Leader Ant Whorton-Eales. Having placed all three of the team Pyro cars in the top six during Friday's test session around the 2.13 mile Yorkshire venue, things looked good for qualifying on Saturday and once again the Pyro boys did a stellar job with Mike qualifying 3rd, Josh 6th and Senna 10th for the first race of the weekend later on in the afternoon. As soon as the lights went out to signal the start, all three went on maximum attack but Josh soon found Senna alongside him with the duo making slight accidental contact caused by a number of cars bunching up at turn one, then Hawthorn and into the chicane. Unfortunately Senna lost the few places he had gained, but for Josh it ended his race early as the damage he sustained was enough to force him into retirement just three laps into the race. It was down to Mike to battle for team honours and after a race long battle with Max Coates he settled for the 3rd and final step on the podium and the team's first trophy of the weekend. Senna also fought hard and managed to gain several places by the end of the race and brought his slightly battle scarred Clio home in a fantastic 7th place. For race two, the grid is formed by the second quickest lap time set in qualifying which placed Mike on Pole Position, Josh alongside him on the front row in 2nd with Senna 6th, so it was all to play for as the lights went out to signal the start of Sunday's race. Going into turn one Mike ran wide changing the order of the race placing Paul Rivett in the lead, which he lost to Josh by the time they exited the chicane. However Rivett soon found his way back past placing Josh as the highest placed of the BMR trio in 2nd with Mike 4th and Senna 6th. On lap 4 Josh would re-take the lead after Rivett had a mechanical issue which also moved Mike up the order to 3rd and Senna into 5th. The lead would then change hands once more throughout the 12 lap encounter as Coates moved ahead with Mike also taking advantage jumping up into 2nd, dropping Josh to 3rd as Senna defended his 5th place position from Whorton-Eales who was on maximum attack. Eventually Whorton-Eales found a way through along with Paul Streather dropping him down the order to 7th. More contact followed at the hairpin when Senna took a big hit at the rear from Lee Pattison in a late lunge attempt to pass. However on this occasion it wasn't a successful one and Senna continued albeit with a slightly re-arranged rear end. As the checkered flag fell Mike crossed the line in 2nd with Josh right behind him in 3rd making it two more podiums for the team with Senna coming home with a second 7th place finish of the weekend. All in all it was a great weekend for the Team BMR with Pyro boys with two solid finishes from all three of the youngsters, with Mike closing the gap to Whorton-Eales at the top of the championship standings to just 3 points. Josh currently lies in 8th and Senna 9th also with a 3 point gap. We now look forward to a six week break until racing resumes at Snetterton in Norfolk on the weekend of the 30th and 31st of July. 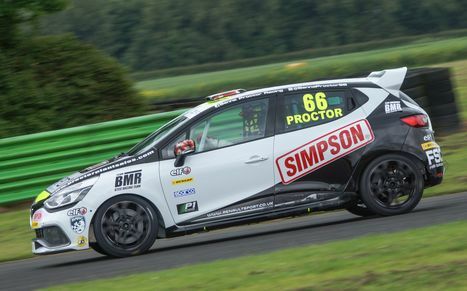 As the Renault UK Clio Cup headed North to Oulton Park over the weekend to support the British Touring Car Championship, all three of the Team BMR backed drivers performed well from the outset after Mike Bushell and Senna Proctor topped the time-sheets in Friday's test session with Josh Price hot on their heels in 5th. When the sun rose on Saturday morning our expectations were high for qualifying and the boys came up trumps as Mike qualified on pole position for both races, with graduate Senna right alongside him on the front row of the grid. Josh managed 6th for the opening race later that afternoon, but after a trip into the gravel trap and only one banker lap in the bag he had to settle with 13th for the second encounter on Sunday. As the lights went out for the opening race it was Ant Whorton-Eales from 4th on the grid who made the lightning getaway and was instantly on the back of Mike as Senna fended off the advances of triple champion Paul Rivett. Whorton-Eales finally made a move stick and would see Mike drop to 2nd as Rivett passed Senna for the final podium spot. However Mike wasn't going to settle for second and soon regained the lead of the race with places being traded up and down the field behind him. When the checkered flag fell it was Mike who took the race win, his first of the season as Senna crossed the line 4th his best result to date. Josh also had a great result bringing his Clio across the finishing line in 9th. Whorton-Eales and Max Cotes completed the podium as Rivett fell to 7th handing the championship lead over to Mike. For race two Mike was keen to hang onto his lead after a great getaway, but this time is was Senna who attempted a move around the outside as gasps were heard from the garage as the duo ran side by side into turn one. Unfortunately for Senna, once again it was Whorton-Eales from third on the grid who managed to sneak up the inside into second dropping him to third as Rivett tagged the back of his Clio sending him sideways into turn two. However the Bridlington youngster managed to get the car pointing in the right direction and stayed ahead of Rivett on the run down to the hairpin as the chasing pack slotted into single file for the first time, as Josh moved up the order into a fantastic 9th place. At turn one on lap three a small mistake from Mike saw Whorton-Eales pounce and take the lead of the race placing Mike and Senna back together once again in 2nd and 3rd as Josh went on the attack of Coates whilst fending off Lee Pattison. The remaining nine laps would see many battles throughout the 21 car field, with Senna gaining all of the TV glory as he fended off four drivers headed by Rivett to hang onto his podium place. As the checkered flag fell for Whorton-Eales at the end of lap 12, Mike crossed the line in 2nd, his second podium of the weekend with just 1.33 seconds between them. Senna crossed the line 3rd gaining him another Clio Cup career best as Rivett crossed the line in 4th. Rivett also picked up a five second time penalty that dropped him all the way down the order to 12th, which just goes to show how close the Renault UK Clio Cup is. Josh dropped down the order in the latter stages to cross the line in 15th. Senna was also handed a second trophy for taking the Graduate Cup win. Speaking of his weekend in Cheshire Mike commented: "It's great to return to form. I've slowly been getting quicker and quicker since the start of the year and 4 poles on the trot is no mean feat. I'm a little annoyed with myself with a small error in race 2 that cost me a double win. We learn from our mistakes and I've still gained more points than anyone else over the weekend with the help of fastest lap in race 1 to go with the win and 2nd place." Speaking about his previous Championship assault back in 2014 he added: "In 2014 I didn't lead the championship until after penultimate round at Rockingham, so to be in the lead and have more points than I did in 2014 at this stage gives me confidence that I'm getting stronger every time I'm in the car. I've been driving with a more sensible approach this year so far and consistency has been key. Now the speed is returning, I just need to keep the momentum and pick up some more trophies." A very ecstatic Senna couldn't wait to speak of how brilliant his weekend was and stated: "After a really tough start to the season, things had not gone as I would have wanted *so I decided to approach Oulton park with a more relaxed frame of mind instead of putting too much pressure on myself. It seemed to do the trick as we were quick right from Friday morning free practice and gained P2 for both races after a really good qualifying. At that point we knew we were in a great position to get my first podium in the Clio cup and it feels brilliant. I now hope we can continue this momentum into the rest of the season and it's nice to hit top form coming into Croft, a track I love and is also effectively my home circuit. I would like to thank Team Pyro for giving me a great car this weekend and especially Team BMR for all their support." Pyro Team Manager Mark Hunt was also ecstatic about Senna's performance and added: "I'm very proud to see Senna at the front all weekend. We found a few issues after Thruxton that we resolved and his true pace showed through. We knew he had the pace as he was always fast in pre season testing. In Race 1 he received some damage that slowed his progress but still got 4th and in race 2 he kept ex Champion Rivett at bay for the whole race to get 3rd, his best result this season. I *can’t wait to see what he can do at Croft." Mike remains at the top of the Championship standings some 14 points clear of Whorton-Eales who's race 2 win moved him up ahead of Rivett. Senna has moved up the order to 9th behind Josh who remains 8th. We now head to Croft in North Yorkshire on the weekend of the 18th and 19th of June for rounds 9 and 10. Following the withdrawal of the four Subaru's from the British Touring Car Championship on Sunday, it was down to the Renault UK Clio Cup trio of Mike Bushell, Josh Price and Senna Proctor to uphold honours for Team BMR and Team Pyro as we headed down south to Thruxton in Hampshire for the third round of the 2016 championship last weekend. (7th and 8th of May). It was an exceptionally good qualifying session for Mike after he bagged pole position for both of Sunday's races which is depicted by your quickest time for race one and your second quickest time for race two. Josh grabbed two 3rd place grid slots with Senna placing his Clio 13th and 9th. For race one it was a great start for all three drivers, however it was Ant Whorton-Eales who jumped up the order from 5th on the grid and into 2nd behind Mike, which soon became the lead after a pass on the outside at the chicane with Josh losing out and settling into 4th. As the race further unfolded it was Josh who snuck through into 2nd with Mike dropping to 4th behind Championship leader Paul Rivett. A safety car period would follow on lap 6 after Dan Zelos had contact which forced him off the Tarmac on the start finish straight sending him into the wall at high speed. When racing resumed Mike saw his chance on lap 12 to sneak back up the inside of Rivett placing him back into a podium finishing position. The race was subsequently red flagged two laps early on lap 13 after Luke Kidsley and Paul Plant made contact and both left the track hitting a wall in the process. Meanwhile coming through from 13th on the grid Senna had made his way up to a fine 8th place finish less than 7 seconds behind the race winner. Final result Josh second, Mike third Senna 8th. For race two all three made great starts, but once again it was Ant Whorton-Eales from fifth on the grid who made the leap up to 3rd forcing Josh down to fourth at the start of the 12 lap encounter, as Paul Rivett then fell to 3rd, after he and Whorton-Eales swapped places at the complex enabling Mike to make the break out in front as the dicing duo ran side-by-side for several corners. At the start of lap four once again Whorton-Eales and Rivett ran side by side into the chicane with the pair making slight contact which slowed them up enabling Josh to capitalise moving him up to third behind Rivett. However it was short lived as once again Whorton-Eales went round the outside at the complex and claimed the place back. On lap six there was a hair raising moment for Rivett which sent him into a spin at Goodwood which enabled both Whorton-Eales and Josh to pass placing them second and third respectively. However Rivett managed to get his Clio back on track, albeit down in 11th place which also moved Senna up the order to eighth. Unfortunately for Mike on lap ten it was announced that he would receive a five second penalty for exceeding track limits and with a 4.4 second gap to Whorton-Eales he really had to do all he could to take the race win and gain that extra six tenths needed during the remaining three laps of the race. However by the start of the following lap the gap had increased to 0.8 seconds between the duo fighting it out, not on track but by the gap on the timing screens, as Senna was having his very own skirmish with Paul Streather and David Dickensin as the trio fought hard for 6th place, with Rivett moving up to 9th and hot onto Senna's heels. On the final lap of the race Rivett found a way past Senna which dropped him down to 9th as the flag fell, with all eyes on the timing screens to see who would reign supreme and take the victory. Unfortunately after the five second penalty for Mike he was demoted down the order to 2nd behind Whorton-Eales as Josh brought his car home in a fantastic 3rd, placing all three drivers in the top nine for both races. 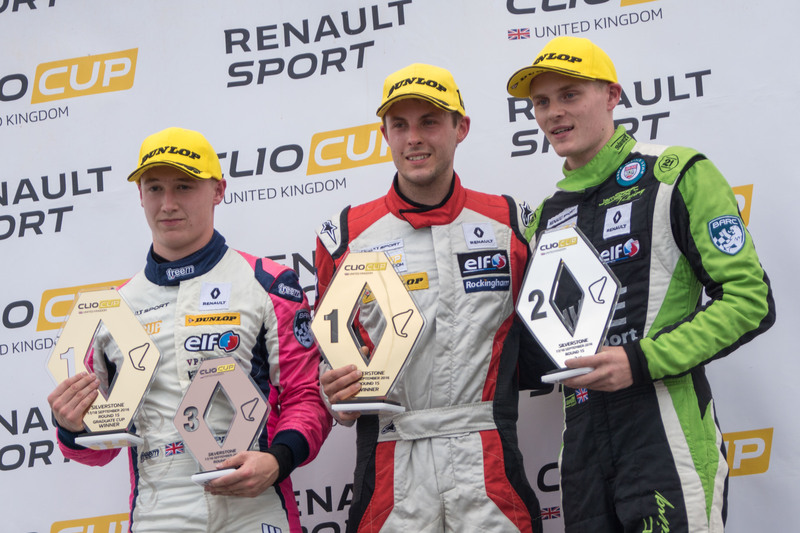 All in all a successful weekend in the Renault UK Clio Cup, with two podiums for Mike, two for Josh and two good point scoring results for Senna. To top the weekend off there were two more trophies for Josh after he took the graduate win in both races. Mike is now second in the overall championship standings just six points adrift of leader Rivett, with Josh 7th and Senna 13th. For the opening Renault UK Clio Cup race of the weekend, Mike would be the highest placed BMR backed driver on the grid starting from 7th, with Senna 12th and Josh 16th. After a great start from all three, the race was stopped after just half a lap after Dan Zelos ended up on his roof in the gravel at the Craner curves, negating the positions for a restart. On the second attempt at a start, it would be Mike and Senna who made the great getaway with the pair jumping up to 6th and 8th as Josh retired after just a single lap. With just three minutes remaining on the clock Mike braved it out on the outside of Max Coates for fourth place, as another Clio rolled into the gravel at the Craners. Unfortunately this time it was Senna who ended up on his roof after slight contact from a fellow competitor and the race was red flagged for a second time. Final result Mike 5th, with both Senna and Josh out of the race. It was all hands on deck in the garage at Pyro as all of the team, including his team mates Mike and Josh, immediately got to work on Senna's battered car. Remarkably they made the grid where they lined up for the second race of the day, with all three drivers back in their grid slots. Mike was back in 7th with Senna 13th and Josh 17th. When the lights went out at the start of the race all three once again got off to a flying start with Mike holding station in 7th as Senna and Josh moved up to 11th and 13th the by the end of the opening lap. Mike then dropped a place to 8th on lap 3 to Max Coates, as he tried to pass the Clio of Paul Streather in front of him going into the chicane. A place he would later regain after Lee Pattison went off at the Chicane on the following lap whilst in 4th place. Pattison's demise would also promote Senna up to 10th and Josh up to 12th. Mike's 7th place then became 6th after both he and Coates passed George Jackson in 5th at the start of lap 9. Senna and Josh then made a further gain as Jackson was called in to serve a drive through penalty after he moved before the lights had gone out at the start of the race, promoting them both up another spot to 9th and 11th which soon became 8th and 10th. Anton Spires then went off at the chicane on lap 11 which in-turn moved Josh another place up the order into 10th, and right behind Senna. When the checkered flag fell at the end of lap 14 Mike Crossed the line in 6th, with Senna 8th and Josh 9th as Ant Whorton-Eales took the win. However post race, Whorton-Eales was excluded for a technical infringement moving Mike up to 5th, Senna up to 7th and Josh 9th. The Jam Sport Team have since appealed the exclusion and their appeal is still ongoing at the time of going to press. Mike sits 4th in the overall Championship standings led by Paul Rivett, with Josh 10th and Senna 15th. Racing resumes at Thruxton on the weekend of the 7th and 8th of May. The Team BMR with Pyro drivers enjoyed an impressive start to the 25th Anniversary season of the 2016 Renault UK Clio Cup Championship at Brands Hatch in Kent last weekend with Mike Bushell coming away with the teams first podium of the year. Saturdays qualifying session saw Mike Bushell setting the quickest time of the BMR backed drivers setting a time of 52.390 seconds around the 1.2 mile circuit, placing him 5th on the grid for the first race of the season with team mates Josh Price qualifying just behind him in 6th and Senna Proctor in 15th. Ant Whorton-Eales took pole position with a time of 52.173 seconds. The opening race of the day was led by Streather from the first corner at Paddock Hill bend after Rowbottom span out. Streather fought a good battle managing to hold off his follow competitors for the duration of the race. Mike finished in 4th less than a second behind Pattison and Rivett. Mikes team mates also enjoyed a great race with Josh finishing 7th and Senna completing his first outing in an impressive 11th place. The crowds flocked to a sunny Brands Hatch on Sunday morning for the second round of the Renault UK Clio Cup that Lee Pattison would lead from pole position, managing to break away from former champions Paul Rivett and Mike who were locked in a battle for second position with Rivett eventually coming out on top and taking 2nd position. Mike completed the podium in 3rd. Josh ended his race in 7th but received a five second time penalty for exceeding track limits dropping him back down the final order in 13th with Senna finishing in 21st after tangling with a fellow competitor in the opening lap of the race. Mike Bushell said: “It was great to be back at the sharp end of a highly competitive field, something wish I sorely missed last year. It was good to be on the pace straight away and I was very happy with fastest in testing, however a slight mis-judgement on rear tyres between myself and the team meant we couldn't quite get the most from the car. “Brands Hatch is a notoriously difficult circuit to overtake on and race one starting from 4th led to finishing 4th, albeit 1 second away from the win as we finished nose to tail across the line. “For race 2, both myself and pyro made the car come alive and was really raceable, I was able to move from 6th to 3rd in the early stage of the race before having a titanic scrap with multiple champion Paul Rivett for 2nd place. I think Paul and I will certainly feature together at the front of the pack all year. 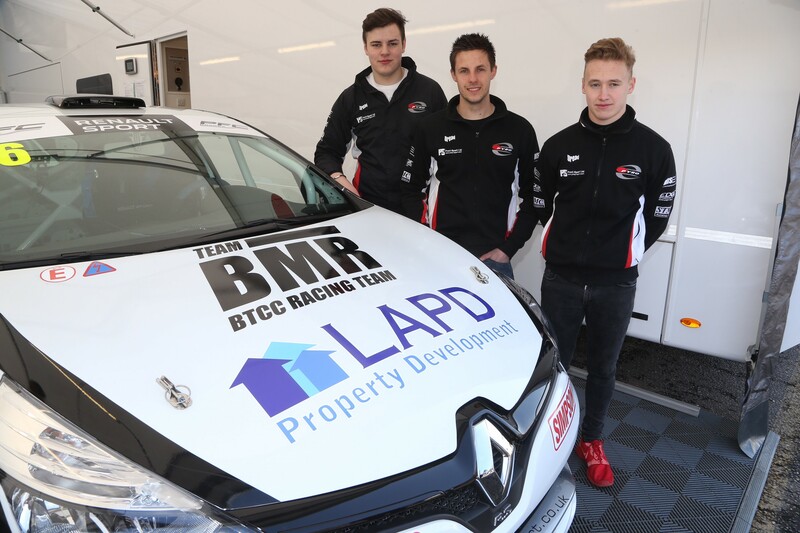 Team BMR are pleased to announce their latest recruits to join the ranks in the Renault UK Clio Cup in the form of Mike Bushell and Josh Price. Team Pyro drivers Mike and Josh will join fellow team mate Senna Proctor carrying the Team BMR logos, along with the RCIB Insurance Racing brand during their 2016 campaigns. With the Clio Cup grid shaping up to be one of the most competitive in recent years, competition will be tough, but with two recent big announcements in the past week, the BMR drivers are feeling confident heading into this weekend’s opening rounds of the 2016 season. Team BMR owner and BTCC driver Warren Scott commented “I am delighted to add two new rising stars to the BMR family with the support of Mike Joseph of RCIB Insurance, and everyone at BMR is really looking forward to watching their journey in what looks to be a very exciting season of the Renault UK Clio Cup”. 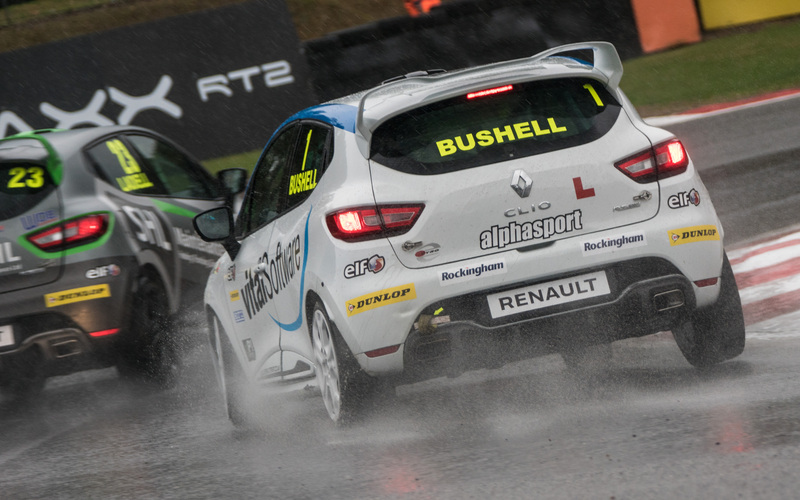 After a season competing in the British Touring Car Championship Mike Bushell announced his return to the Clio Cup grid earlier this year. Mike commented “It's great to be approached by Warren and Team BMR, I had made an early decision to move back to the Clio Cup after having a turbulent season in the BTCC and was left unsure of whether I would have a future in BTCC. With an opportunity like this, I'm hungrier than ever to win and reward their faith in me and achieve some great results for Team BMR"
Josh Price added “It's a real honour to be approached by Warren and Team BMR to be a part of their junior programme and hopefully this is a stepping stone towards my goal of competing in the BTCC. To be representing RCIB Insurance Racing is also a huge boost for me as they have a huge presence in the UK motorsport scene these days"
Price’s Manager, former Team BMR BTCC driver and 2012 Clio Cup Champion Jack Goff commented "I have been looking after Josh since he moved out of karting and into car racing. Following his first day in the Clio I could tell he has a natural talent and feel for what the car is doing underneath him. His karting record speaks for itself, but I feel that 2016 could be the year that he cements his name in the saloon car ranks. With my connections at BMR and RCIB Insurance from my past years with them, it's nice to be able to now help out Josh in his early years in car racing and it will be good to still be working alongside Mike Joseph at RCIB who has helped me massively over the years". The 2016 season is significant in UK Clio Cup history as it marks 25 years since the championship was founded in 1991. The season commences this coming weekend (Sat 2/Sun 3 April) for the start of its 2016 season at Kent’s world-famous Brands Hatch circuit in front of a bumper Dunlop British Touring Car Championship crowd.